A hunter calls in his bird. The Festival competitors line up. at the Golden Eagle Festival. 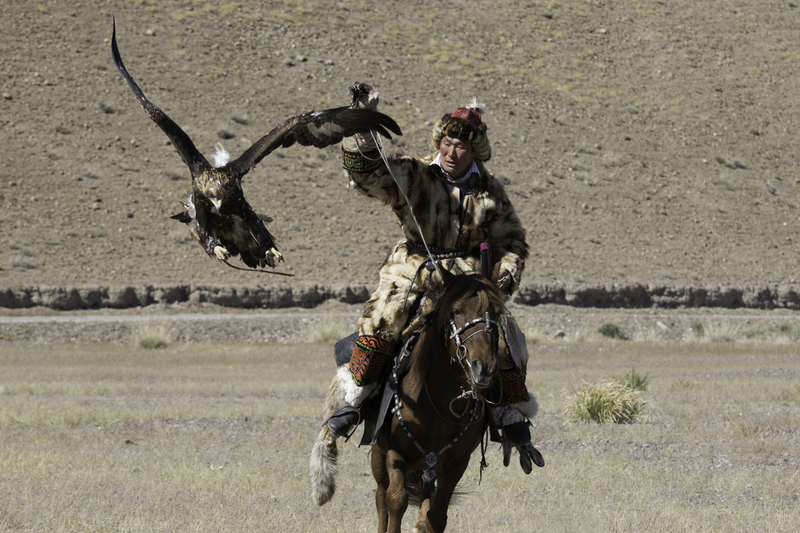 The recent film "The Eagle Huntress" champions a young Mongolian girl who dares to take on her Kazakh male elders in a tough competition pitching her hand-raised and trained eagle and horse-womanship against theirs. 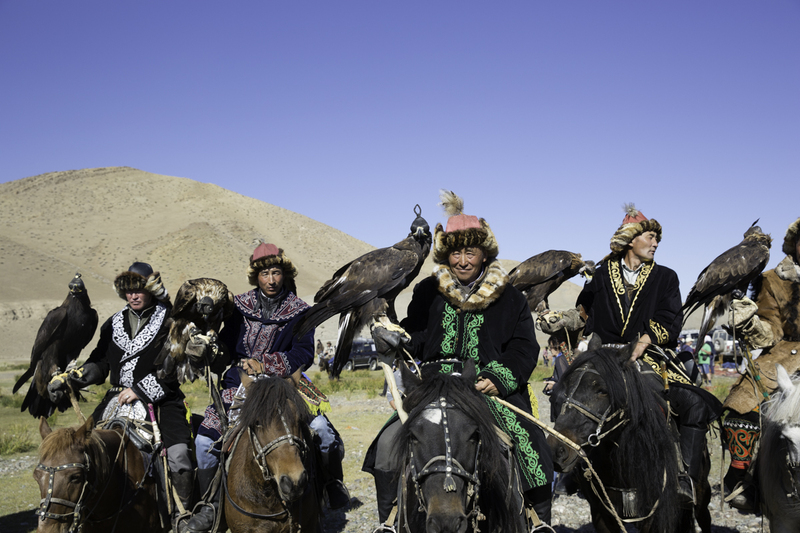 The elders object to her participation in the all-male Golden Eagle Festival, but with her father's support, she persists and earns the best hunting time in the event's history. Hats off to Aisholpan, who plays herself in the film and wins our hearts with her confident 13 year old smile. With all due respect, however, according to Stanford Research Scholar Adrienne Mayor, she is not the first modern Kazakh eagle huntress nor even the first to enter the eagle hunting contest. Indeed, Mayor has uncovered archaeological and photo-documentary evidence “that eagle huntresses were probably more common in ancient times. Recent and spectacular archaeological discoveries of graves (ca700 BC to AD 300) across ancient Scythia, from Ukraine to China, reveals that steppe nomad females engaged in the same riding and hunting activities as the men, and about one third of the women were active warriors in battle. Boys and girls, men and women, young and old, all shared the vigorous outdoor life and everyone could ride fast horses, shoot arrows with deadly accuracy, hunt for fur and game, and defend the tribe. 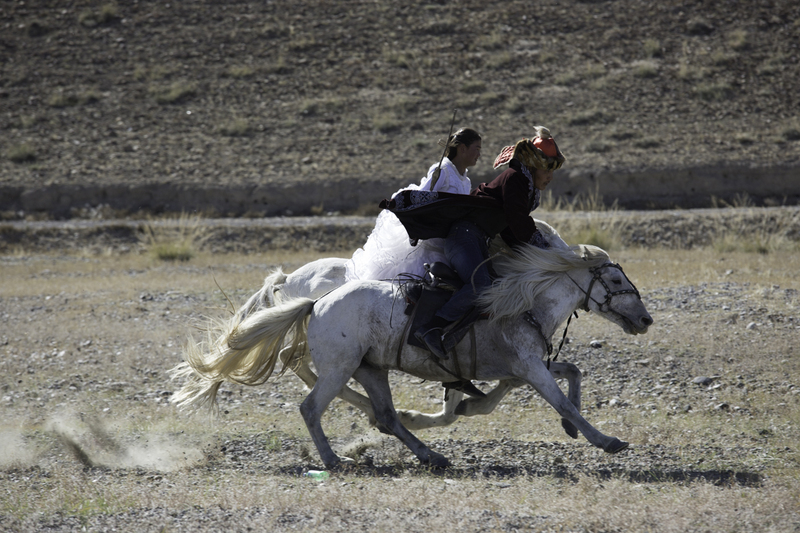 "The combination of horse riding and archery was an equalizer, leveling out physical differences: a woman on horseback is as fast and agile as a man. This ancient way of life —embracing gender equality—was essential for tribes continuously migrating across oceans of grass, and egalitarian traditions persist in their descendants today, even though men and women in semi-nomadic herding communities now have more differentiated tasks.” Mayor, A. 2016. Ancient Traditions and New Generations, Stanford University. by Andrew Lapin, National Geographic. And yet another interview with film maker Otto Bell telling how the film almost didn't happen. You can attend the amazing Golden Eagle Festival in Mongolia on one of KarmaQuest's two Mongolia trips: our Gobi Desert and Golden Eagle Festival trip or as an optional extension to our Camping with the Tsaachin trip. Or watch the film "The Eagle Huntress" in your local theatre or on the internet.